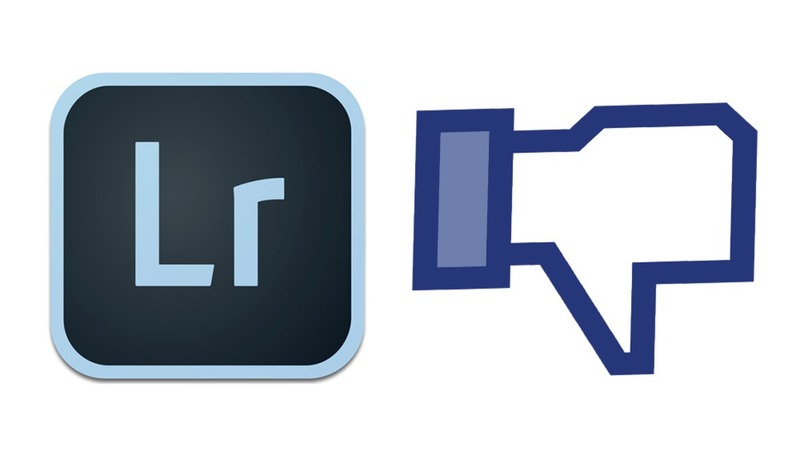 Adobe just killed one of its last major one-time fee softwares, Lightroom, in favor of the subscription model introduced in 2013. While the most refractory users may continue to run on the previous versions, they will be forced to roll to the Creative Cloud at some point since Adobe will stop supporting the traditional software. Future raw images and video codecs will not work on old programs. But when looking at the price plan in detail, are we being milked by Adobe with the subscription model and if so, what are the alternatives? The regular one-time fee version of Lightroom 6 costs $149 while the Creative Cloud version comes at $9.99 per month either bundled with Photoshop CC and 20 GB of cloud storage or without Photoshop CC and 1 TB of storage. Basically, the Lightroom 6 price is equivalent to 15 months of the Lightroom CC subscription plan. Those who only use this software and like to renew it every two or three years will clearly lose money by switching to Creative Cloud. Of course, Lightroom CC as a standalone comes with 1 TB of cloud storage but that’s irrelevant for most people. 1 TB is not much nowadays when cameras like the high-resolution Canon 5DS or Nikon D850 fill it up in a matter of weeks or months for most professional photographers. However, Adobe is proposing to extend the cloud storage in line with the price of the competition. For instance, Lightroom CC with 10 TB comes at $99.99 per month which is exactly the same price as 10 TB of space on Google Drive. On the other hand, the Creative Cloud Photography plan, which combines Lightroom CC and Photoshop CC plus 20 GB of cloud for $9.99 per month, is very competitive compared to the previous CS6 price. 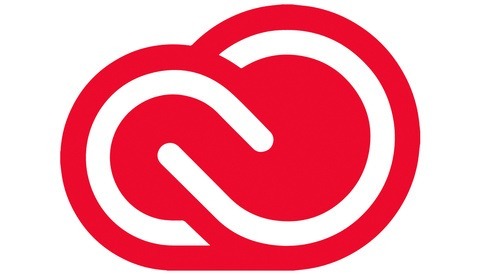 The offer of Adobe Creative Cloud. Here is the price comparison of the CS6 versions against their Creative Cloud versions. Next, I show the time beyond which buying a one-time fee license is cheaper than the monthly subscription plan. The latest Adobe Master Suite CS6 package with all the main applications was released in 2012 for $2,600 which is the equivalent of four years and four months of subscription costs under the Creative Cloud ($49.99/month for all the applications). This period is actually much longer than the release cycle of the Master Suite; Adobe CS3 came out in 2007, CS4 in 2008, CS5 in 2010, and CS6 in 2012. However, the CS5 to CS6 upgrade price used to be $899. Perhaps the reason to ditch Adobe comes from the poor optimization of its software. Lightroom rendering is known for underusing the computer’s processing power. Apparently, the new version will correct this problem. Premiere Pro and After Effects are having the same problem with sluggish playback when the CPU and RAM are stuck at 30 to 40 percent of use. Some effects, even the non GPU ones, take forever to load but while the processor is close to idle. Another issue comes from the bugs and instability associated with Creative Cloud. Some users prefer to delay the updates because each wave tends to introduce new problems. Some video editors noticed that Premiere Pro has a tendency to crash more often than before during rendering, especially with Lumetri. On multiple occasions the cloud synchronization encountered issues that sometimes lasted up to two weeks. In 2014, a problem prevented millions of users to login and open their cloud applications for a whole day. But to be fair, no software is immune against bugs. It happens to other companies as well. 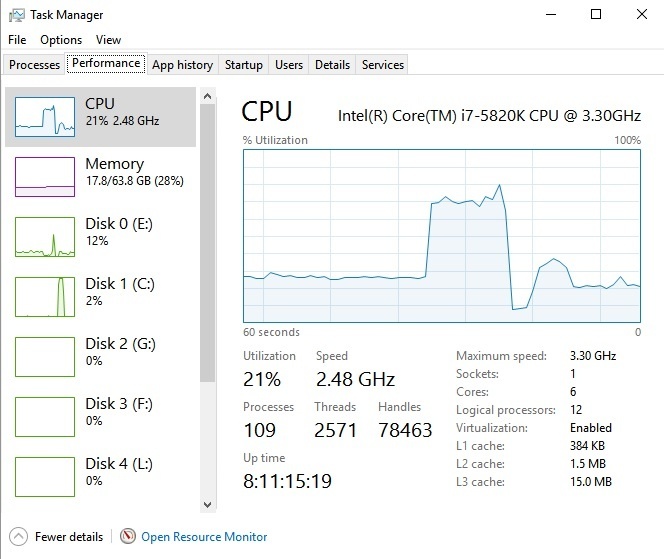 A typical case of underused processing power while using Adobe Lightroom, Premiere Pro, or After Effects (even with non GPU tasks). Luckily for us, the offer of alternatives is expanding. One of the most serious Lightroom challengers is the great Capture One with its advanced studio and tethering functionalities. DxO OpticsPro is also a good option. In the video department, Avid Media Composer has already been adopted by many productions. Final Cut Pro X is very popular with the editors working on Apple computers. DaVinci Resolve is another rising star in the industry, especially for its advanced color correction features. 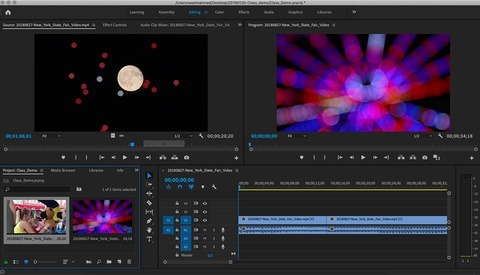 Blackmagic Design also proposes a good After Effects alternative with Fusion. These two pieces of software are free and can be downloaded directly from the company's website. The advanced versions cost only $299. The situation is more complex for Photoshop. This one still reigns as the undisputed king in the professional industry. But you may want to take a look at GIMP (free), Pixelmator (and the upcoming Pixelmator Pro), or Affinity Photo to name a few. 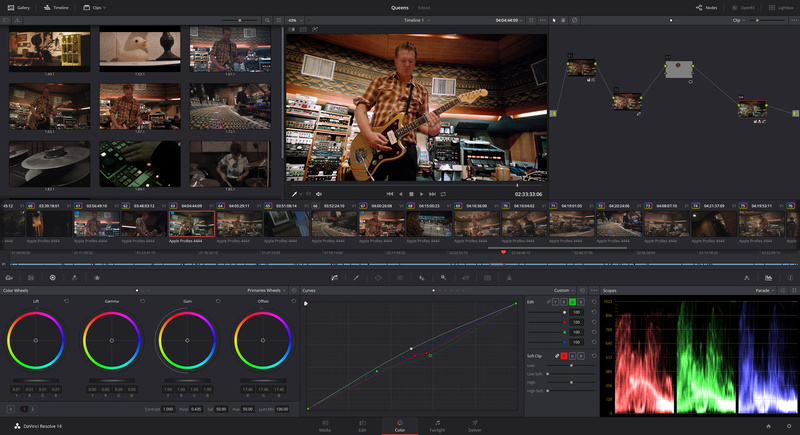 DaVinci Resolve 14 offers advanced color correction features for challenging video such as Sony S-LOG. Overall, it is hard to give a definitive answer about the pricing structure of Adobe Creative Suite. Of course, if you only use Lightroom, the Creative Cloud version is much more expensive than before. At $9.99 per month versus $149 for the standalone version, Lightroom CC will cost you more money after only 15 months of use. However, the Lightroom and Photoshop CC Photography Plan is equivalent to seven years of CS6 acquisition price for these two pieces of software. In this case, the price is very interesting unless you still use Lightroom CS3 from 2009. As for the all applications package, the Creative Cloud price corresponds to four years and four months of the CS6 Master Suite cost. With an average release cycle of two years between each Master Suite version, the Creative Cloud price is similar to upgrading to CS6 from CS4. It seems reasonable in this case. Finally, more than the price, the performance and instability problems of Adobe may be a reason to look elsewhere. The market offers good alternatives in certain domains even though it may be hard to switch, especially for more complex software like After Effects which has a steep learning curve. You might not want to start from scratch all over again and abandon a program that took you hundreds of hours to master. Adobe is also widely adopted in the industry and inter-agencies work often requires some degree of standardization. What are your thoughts about ACDSEE for Photoshop/Lightroom replacement? Personally I like it, and with built-in DAM support too. Adobe's subscription price model is just too much. Their latest moves cements the decision to stay away. As an additional consideration worth considering, Cyberlink's Photo Director, or Affinity Photo as mentioned in the article. I can't say because I never tried it. I've been using ACDSee for a while now. I'm a hobbyist, so the one-time versus monthly payment has a different balance for me. It's good, and I expect a Photoshop/Lightroom expert would quickly adapt to it. As a novice, it is a downside that there are lots of videos and resources out there on PS/LR but not on ACDSee. The concepts (light curves, layers, masking, brushing, etc) are the same though. As someone who wants to do more composite work, I definitely see that ACDSee is behind PS though - though they're working to catch up. Back to the price point though - if you buy every upgrade of ACDSee (they seem to come out every 3-6 mo) it will end up costing being close to the subscription to PS (depending on plan, etc). Comparing the perpetual license cost of Lightroom or Photoshop to the CC version should also include the fact that Adobe is consistently releasing updates and NEW features for the CC applications. Remember when a new version of Photoshop would be released every 18 months? Now that seems to 20th century! As cameras, technology and how we work changes so should the software. Also take into account the 1TB of storage too. Everyone has 1TB of storage with their Office 365 Plan, which is kind of a no-brainer given how mediocre competing Office Suites are. I think the market for Photography applications is a lot more competitive with Adobe than LibreOffice, iWorks, and WordPerfect Office are with Microsoft Office. The thing that does strike me as odd is how arbitrary Adobe set the prices, with no relation to the actual worth of the applications. Dreamweaver at $399 is a decent buy, but the subscription is a really poor value compared to the [in the past] perpetual price. Subscription makes more sense for applications like Premiere Pro and After Effects than they do for Photoshop and Lightroom - the latter of which has so many competitors that are more than good enough, and the former of which honestly shouldn't even be the first choice for most hobbyists due to costs... other options are more than good enough in the lower end of the market. Katrin, as someone who teaches Ps and is closely linked to Adobe, it makes sense that you would be supportive of them and their party line. I disagree with the notion that Adobe is "consistently releasing...new features" of any significance. Adobe tends to release the most significant changes as a group every 12 or 18 months—very similar to what they did with the perpetually licensed version—and given the significance (or lack thereof) of the new features, Adobe would be hard pressed to convince many of us to upgrade every cycle. But that is the beauty of the rental model, isn't it? There's no pressure for Adobe to do anything of significance; they get their rental fee every month regardless. It's no coincidence that Adobe announces record profits every quarter. Every user can decide for him/herself whether the "new features" Adobe has added to Ps since they converted the software to rentalware justify the extra cost over the perpetual license. (And for some it is not about new features, the rental model just works better for them.) Of course, deciding for ourselves should not be confused with having a choice. The release cycle of CC is not that different from before. As I noted in the article "Adobe CS3 came out in 2007, CS4 in 2008, CS5 in 2010, and CS6 in 2012.". And there was CS5.5 in between. The problem with many of these updates is they aren't that useful for most photographers. They've created a great marketing ploy to keep people around but many are noticing that they liked the old way of being able to upgrade when a new feature they really needed came out. Many people wouldn't upgrade for a few versions because the benefits were minimal. Now CC ends up costing more in the long run for things that we don't really need. The frequent updates are a double-edged sword, as each update introduces new features, but also new bugs and compatibility issues. Amateurs and prosumers might not be too effected, but the workflows of professionals can be seriously interrupted by updates. I updated to the new CC Classic, excited about the performance enhancements, but encountered a couple of bugs, as well as a 3rd Party plugin that was no longer compatible (jf folder publisher). And the way the update was rolled out, deleting the old version of LR and updating the whole Library, I had to roll back from the computer backup just to be able to successfully do my event photography last weekend. Professionals just function like enterprise customers do with Operating Systems and Office Suites - don't update/upgrade. It's not a hard concept. To the majority of Adobe's users, though, the updates are a godsend. The alternatives are all very competitive, just slightly different layouts or workflows. Minus some initial extra learning to get up to speed, CaptureOne offers everything Lightroom does. Adobe really needs to think twice before increasing the master collection monthly price because they haven’t added much to justify the increase. Also 1TB of cloud storage is an insult to professionals/teams. Make it 10 TB minimum or better yet, unlimited. Most people will only use 1-2TB anyway, but it makes it too limiting to truly embrace, and with steady subscription price increases hard to fully embrace. Having 2 separate tools for crop and straighten C1 is hardly usable for events work, where your main postprocessing is fixing the tilt and composition :) Seems like minor problem, but in reality it triples editing time. But the price is still $9.99, unless you upgrade the storage space. I personally have my own cloud storage and wouldn't upload my photos to Adobe's site, so I won't even use the CC version, only the Classic. Tons of compatibility issues with PSDs in Affinity Photo. I gave up within weeks of trying to make the switch and resubscribed. It wasn't worth all the headaches. This is okay for someone doing this as a hobby, but professionals can't afford wasting time on the clock troubleshooting these issues. Photoshop has too many features that aren't supported by competing applications (Affinity, PaintShop Pro, GIMP, Pixelmator, PHOTO-PAINT, etc.). Some of us have to collaborate... a lot. The problem I see with your pricing comparison, Oliver, is that you assume everyone is paying full retail for the perpetual license. But you're talking to users who already own the product and would be paying for an upgrade—a significantly less expensive proposition. In the case of Lr, an upgrade is $70? That's seven months of the CC Photography Plan. And how long has it been since Lr6 was released? One only has to look at Adobe's exponential growth in profits to know that consumers are paying vastly more for the subscription model. The CC plan does include Ps so this isn't a perfect comparison. 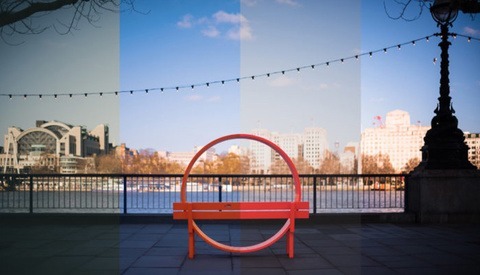 Those who feel like Adobe has made vast improvements to Ps since CS6 might feel like the extra cost is worth it. You are right. I only mentioned the upgrade cost of the Master Suite. In any case it really depends of the users. Some pro need to upgrade all the time to be up to date with project sharing, other can managed to be 2 or 4 generation behind without issues. This price comparison is not perfect but I just tried to give a basic idea. The photographer plan at $9.99 a month with 1TB of storage is a pretty good value if you like to edit on a PC and an iPad. There are alternatives out there that work as well, it comes down to what workflow works for you. However, as a hybrid shooter I also use Ps, Pr, Ai, in addition to Lr so the master plan is better for me and worth the cost to get frequent updates and bug fixes. I want Lightroom Classic to use more cores on the CPU, but efficiently, I’m not sure why people equate using all cores running at 100% as a testament to a program running at max efficiency. Not all code languages are equal and not all coding writing is equal. For example, two people can write the same function but one doing it in 5 lines of code and another using 30. Multiply that by the latter by tens of thousands and you have yourself a poorly written program that is using much more CPU resources than needed. I’ve looked for the holy grail before, I’ve bought C1 pro 9 & 10, it does a few things better, but many things worse. I bought ON1, that was a waste, barely touching the recovery sliders turns images into HDR, I wish I could say I use its plugins for photoshop but they were better years ago when they were standalone. I bought Alienskin’s Exposure which has gotten better but it still lacks some of the most basic functions like Temperature Presets on the WB, it has no K scale, daylight, cloudy, nothing. I’ve never been a fan of DXO with people photos and besides they don’t support Fuji. ACDSEE looks promising, but I’ve wasted enough money looking for alternatives, in fact, five years worth of the photographer’s plan. I think I’m done looking for alternatives. If Adobe ever does kill Classic, I’ll look for alternatives then. At least for now performance did improve, not as much as I would have hoped, but at least previews do generate faster, for all its faults no other DAM can mass edit very large jobs better. For the performance you are right but some simple tasks (video rendering, playback) done with Resolve run smoother on this one. Yes, DxO cannot process Fuji raw due to their sensor tech. For HDR I like SNS-HDR. Especially because it has a batch rendering tool. I think, Adobe is trying to get as much as they can from their spot of being well known and trusted choice for creative software. Even though there are other choices, not a lot would simply buy one and try it. Adobe has successfully made an ecosystem where we, the users, can't simply walk away from. Believe it or not, I've been looking for alternatives. But what I realized is that, the alternatives that I was looking for is already present. It is I (or I assume, like many creatives) that is looking for an Adobe experience from another developer - which I should stop doing. Affinity is set up to work almost exactly like photoshop and indesign. They've somehow gotten away with not being sued which I say is crazy because of how easy it is to switch over to the new program. Exactly. Yes we can! Motion seconded. but here were are, looking for alternatives. I think the Photography bundle at $9.99 is going away next year, no?